Chelsea is a senior at Yale University completing a B.A. in Political Science and a B.S/M.S. in Molecular, Cellular, and Developmental Biology. 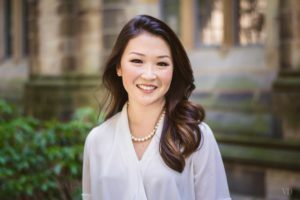 At FHI, her research focuses on China’s progress and investments in artificial intelligence and how the Chinese Communist Party collaborates with the AI private sector to further its political and economic goals.